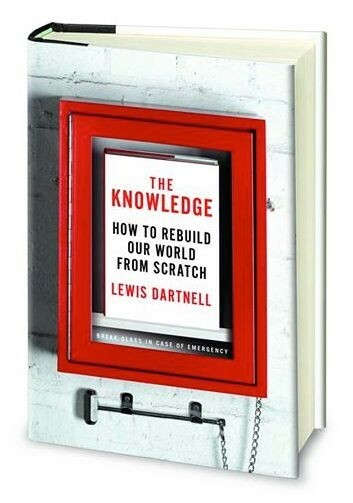 The starting point for The Knowledge is a global catastrophe that destroys our technological civilisation and forces survivors to start again from scratch. Such a possible eventuality offers a superb scenario for exploring the behind-the-scenes fundamentals of how our modern world actually works, and how it progressed and developed over centuries and millennia of history. Whilst researching for the book, and continuing still on the web Discussion board after its publication, I’ve had many fascinating and informative conversations with people who’ve been thinking about similar topics for far longer that I have. There is a large community around the world making active preparations for disaster; people who identify as preppers or survivalists. Of course, aspects of this movement cover a wide spectrum. On one hand are everyday people living in regions vulnerable to natural disasters, such as the earthquakes near San Francisco, taking precautions like keeping a few days-worth of canned food, bottled water and battery-powered lights to wait-out at home a blackout or temporary disruption of other public utilities, or else preparing a bug-out bag to escape the city at the early warning signs. On the other extreme are those who anticipate global catastrophe within their lifetimes; some moving to isolated, fortified compounds and devoting their life savings to stockpiling consumables and weapons to protect their families from looters after societal collapse. 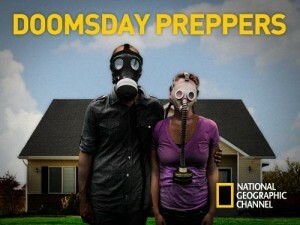 Unsurprisingly, it is this tail of the distribution that TV shows like Doomsday Preppers tend to focus on, but preppers in fact include an enormous range of people with different lifestyles and motivations. And the movement has been going for a long time, building in waves in response to world events, as this guest post from Chris Ruiz charts. Interest in prepping has been on a steady rise over the past few years. This is not to say that the idea of preparedness never existed before. People have been actively preparing for emergencies, including possibly life-threatening disruptions, since the first nomadic clan decided to raise crops instead of hunt and gather. In this article we will look at 3 major waves of interest in preparedness from recent history. This will give us context for where we are today and show that being prepared is a well-worn road, not just some new fad based on some questionable reality shows on television. The first recent wave of interest was in the 1950s when there was widespread fear of nuclear war and communism. During this time, the threat of nuclear war was so rife that people felt the need to be prepared. 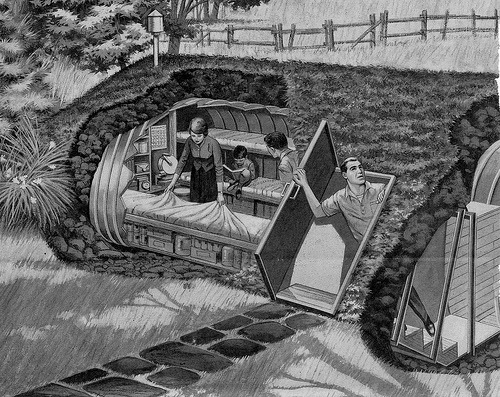 A good number of people made preparations to survive nuclear war and wait out radiation by building survival shelters on their property and stockpiling food. Anyone who was alive at that time will remember the air raid drills that had them hiding under their desks at school, evidence that being prepared was taken seriously by all levels of society. This wave was strengthened by the oil embargos of the 1970s and lasted until the threat of nuclear war ended with the fall of communism in 1989. The second wave of enthusiasm came in the late 1990s and early 2000s. Terrorist attacks, the Y2K bug, and the many regional wars of the time were the cause of increased interest in preparedness. Although Y2K ended with a fizzle, there was much speculation at the time that it would cause widespread failures and chaos when it hit. As for terrorism, the 9/11 and July 7 Tube Bombing attacks came in this time period, exposing how vulnerable we can be even when we think we are safe. In the early 2000s, many books were published offering survival advice and tactics for potential disasters. 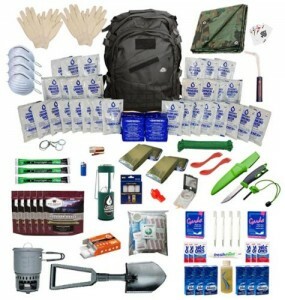 Additionally many people went to the web to create a great deal of blogs, news sites, and e-commerce stores all focusing on survival gear. It was a time of great growth for the modern prepping movement. In addition to this, the rise of YouTube led to an enormous spread of information on developing basic survival skills, which was free and easy for anyone to access. The third wave of interest in preparedness is happening as you read this sentence. The threats of Ebola, ISIL/ISIS, and the threat of a second Cold War are causing many everyday people to wonder if they are truly prepared to face unforeseen events. In addition to this, awareness of the preparedness mindset has grown, due in part to the extreme examples shown on modern TV and in movies, which reach more people than ever. The rise of social media has made it ever easier for preppers to communicate and share ideas, leading to more and more groups dedicated to preparedness both online and in the real world. Sadly, it is a reality that no matter where in the world you are, disaster can find you. We can look at examples like the frequent mass shootings in the US, major weather events like Hurricane Sandy, or around the world to tragedies like the Westgate Mall shooting in Nairobi, Kenya. Now more than ever, it is clear that when disruptions occur it is those that are well prepared that fare best. It is for this reason that the number of people willing to get prepared before a disaster is on a steady rise. These people are following a tradition that is at the root of our human culture – that of looking ahead and preparing for the future. Getting started can be as easy as committing to learning a few basic survival skills or looking at the potential threats around you and making a plan to deal with them. Time spent preparing is never time wasted, most people see it as a valuable investment in their family’s future. The question I pose to you is, will you join us?